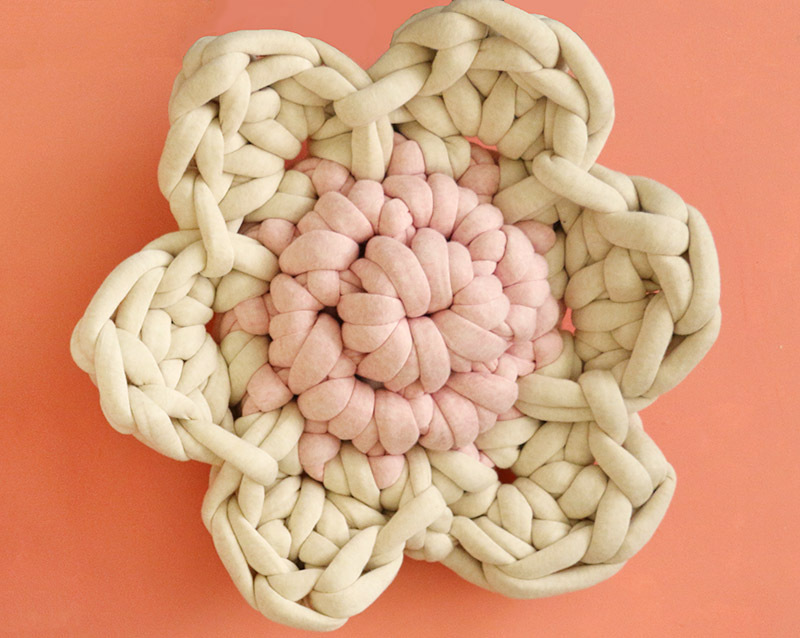 Learn how to make your own chunky flower pillows using giant yarn and hand crochet! 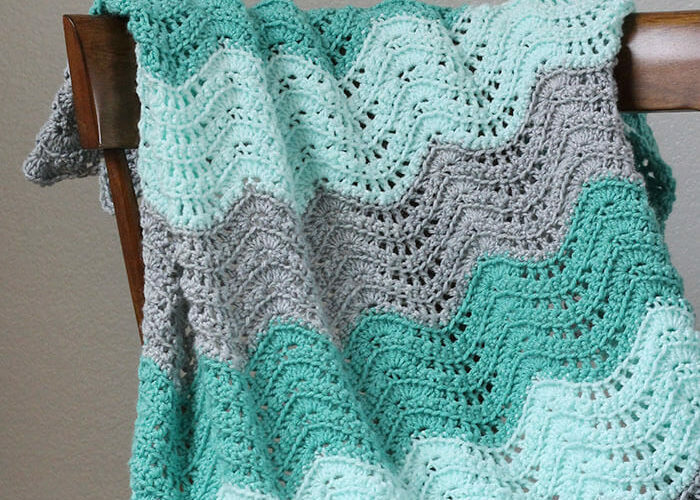 If you have never tried hand crochet before, this is a great little project to give it a try. 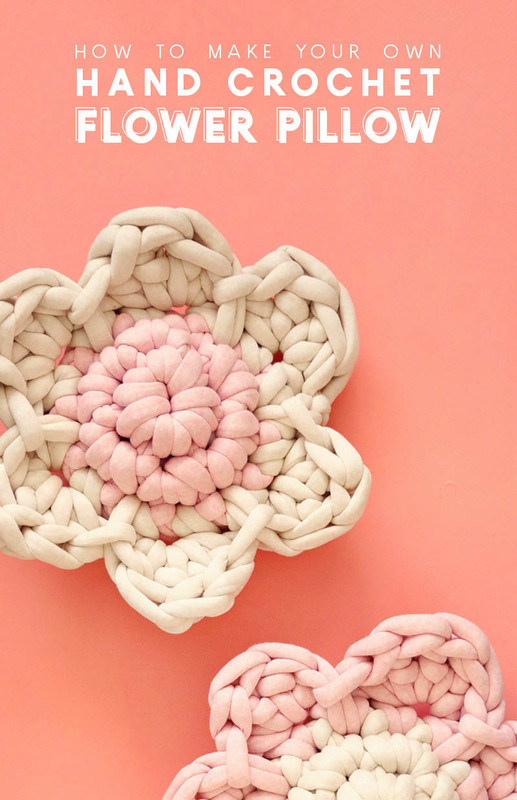 You can make this cute crochet flower pillow using just your hands! This post contains affiliate links, which help to support this site at no extra cost to you. I’m really excited to share this project with you all today because it uses a technique that I have been wanting to try for a long time! The technique is finger crochet or hand crochet, and it’s basically the process of crocheting with your hands instead of with a hook. When I first saw this amazing Giant Chunky Yarn, I was excited to make something with it, but it was too big for even my largest hook. Hand crochet to the rescue! I had a lot of fun learning the basics of hand crochet (hint: If you know how to crochet with a hook, you really already know how to crochet with your fingers!). For my first project, I wanted to do a smaller project, and I came up with a simple flower pillow. It is really amazing to work with this giant yarn, by the way. Even though the flower pillow is really only four rounds, the finished pillow is about 20″ wide! Amazing, right? If you want to give hand crochet a try and make yourself a flower pillow too, then you can head over to the Darice blog to grab the free pattern. There’s even a little video there to help you figure out how to put it together. Get the free flower pillow pattern HERE. If you have tried hand crochet, tell me what you think about it in the comments below. And let me know if you want to see more hand crochet patterns here on Persia Lou! Happy Crocheting and Happy Making!